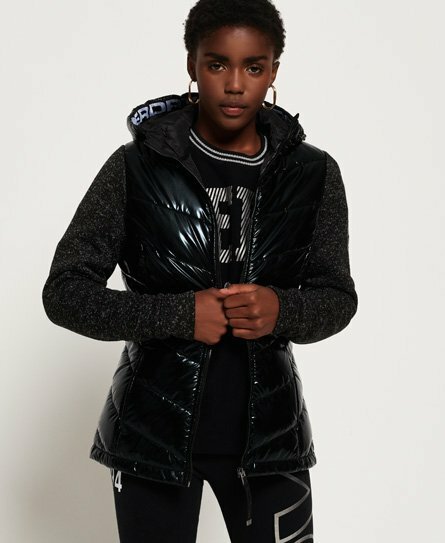 Superdry women’s Storm hybrid zip hoodie. Give your hoodie collection an upgrade this season. This zip up hoodie features a bungee cord adjustable hood, quilted front and ribbed cuffs. The hoodie is finished with a Superdry mountain patch on one sleeve, embroidered Superdry logo on the back shoulder and two zip pockets. This is the ideal on-trend piece.